When choosing music for meditation you need to consider that the music is an accompaniment as opposed to being the focus of your meditation. Tranquil sound is ideal for calming you down and letting thoughts clear. This album is composed with soundscapes designed to take you on your journey, leaving you fulfilled and relaxed. 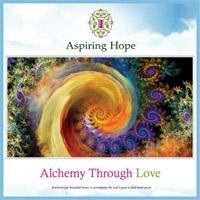 This featured album ‘Alchemy Through Love’ is an audio only CD, with music composed for the purpose of meditation. Mimi's music is also often used as a sleep aid, with the tranquil sound comforting and washing over you as you drift off to sleep.